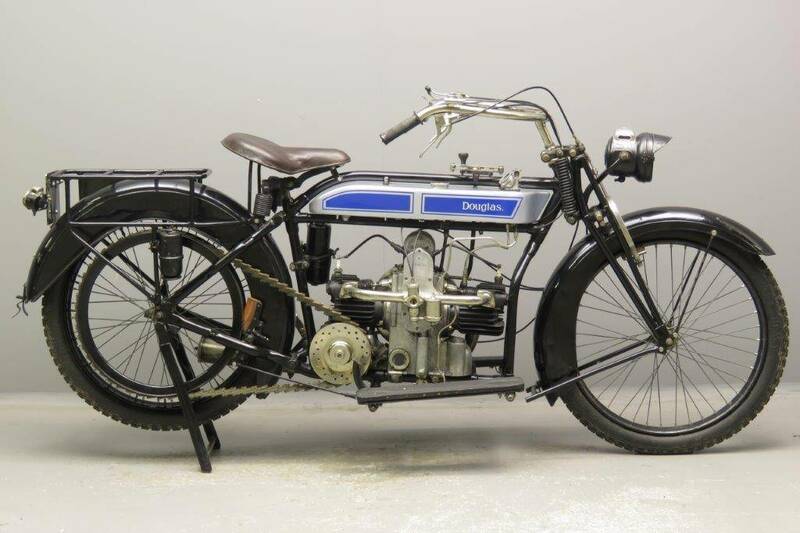 Douglas 1918 “Model B” 4 HP 596 cc horizontally opposed side valve twin frame # D450 engine # 2376. 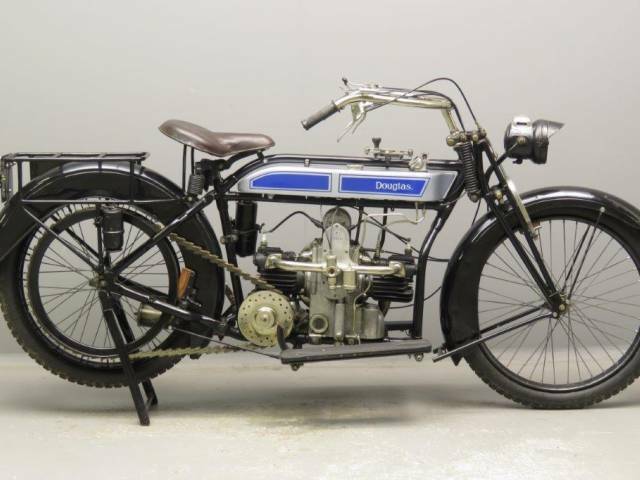 The 596 cc Model B Douglas was introduced in 1915 to cater for the need for a more powerful sidecar puller. other front forks, new design of exhaust, frame and tank alterations, front and rear brake changes and many small engine design changes. Between 1916 and 1921 hardly any changes were made. Many 4HP models saw excellent service in the Great War. At the 1921 Olympia Show the company remarked: “ The 4HP Douglas remains practically unaltered for the experience gained during the war under extremely unfavourable conditions has made the machine eminently satisfactory in its present form.” The 4 HP disappeared from the range in 1924. Bore x stroke are 74.5 x 68 mm, 3-speed gearbox, petrol capacity is 9 litres, oil capacity 4 litres. Petrol consumption is given as circa 1 litre per 25 kilometres and the machine weighs 120 kgs.